With its stunning white sand beaches and sparkling turquoise waters, the Bahamas are beautiful to visit year-round, but the islands really come to life during Christmas and New Year’s for Junkanoo, a celebration that is part Mardi Gras and part Carnival with festivities daily from December 26 through January 1. With only three short months of 2014 remaining, if you haven’t started planning your holiday yachting getaway yet, it is time to get moving. 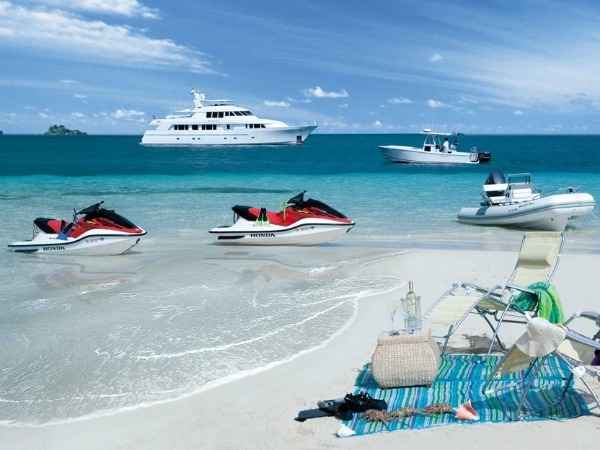 Here are a few great charter yachts available in the Bahamas for the holidays. 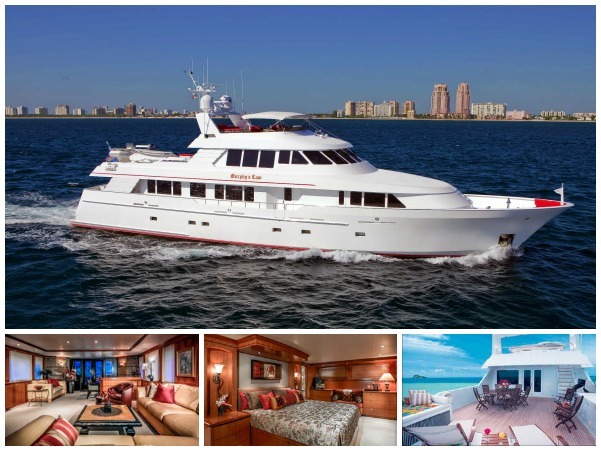 Luxury mega yacht LADY LINDA the perfect pick for a lavish getaway in the Bahamas. 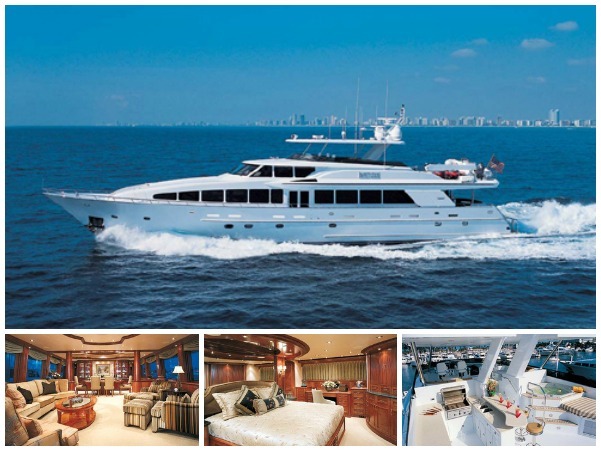 An opulent 187′ Trinity, she features expansive living areas, resplendent interiors finished in the finest of materials, and stylish accommodations for up to 12 guests in 6 spacious staterooms. Her high season rate is $350,000 per week. Those seeking a fun-filled yachting holiday in the Bahamas will appreciate every moment they spend onboard charter yacht MURPHY’S LAW. This impeccable 124′ Delta Marine yacht offers a charter-friendly layout, a huge list of water toys, and beautifully-appointed accommodations for up to 8 guests. Her weekly rate is $65,000. If you are ready to get whisked away on an unforgettable five-star yachting vacation in the Bahamas, charter yacht IMPETUOUS is a prime pick. 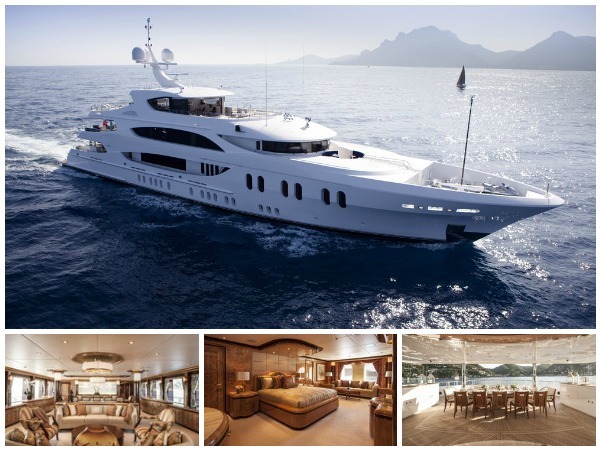 A stunning 120′ Crescent yacht she features great options for indoor and outdoor entertaining, luxe amenities, and spacious accommodations for up to 9 guests. Her charter rate is $65,000 per week. 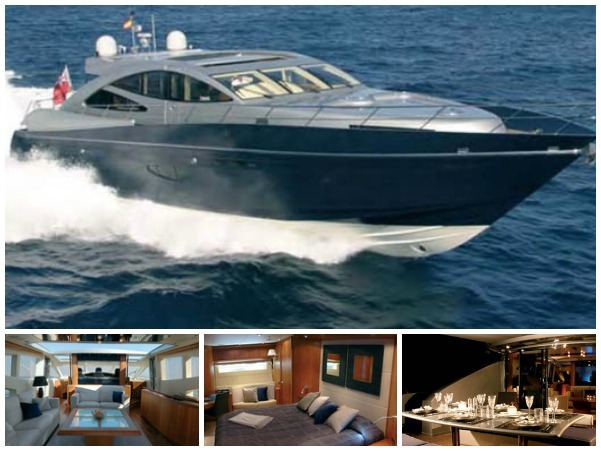 Charter yacht RD is a sleek and sporty option for those that want to explore the Bahamas in style. A stylish 82′ yacht from Royal Denship, she features clean contemporary interiors, idyllic areas for sunbathing and alfresco dining, and elegant accommodations for 8 guests. Her weekly charter rate is $21,000. For a full list of charter yachts available for Christmas and New Year’s in the Bahamas, please contact Sunreef Yachts Charter at charter@sunreef-charter.com. This entry was posted in Bahamas, Destinations and tagged charter yacht IMPETUOUS, charter yacht MURPHY'S LAW, charter yacht RD, Christmas Yacht Charters, mega yacht LADY LINDA, New Year's Yacht Charters, Winter Holidays in the Bahamas by sunreef yachts charter. Bookmark the permalink.